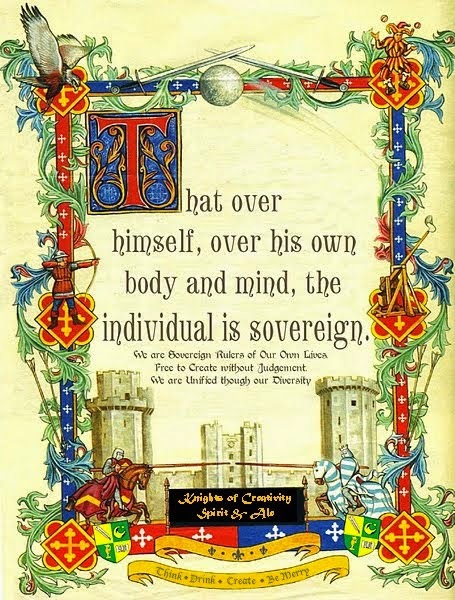 Knights of Creativity Spirit & Ale: Holy Cow! It's A Miracle or A Divine Bovine! 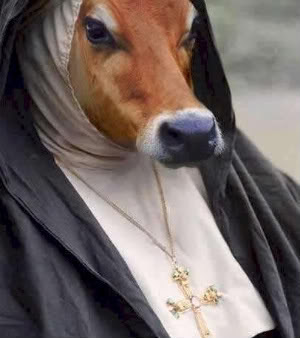 When you hear the phrase "Holy Cow", what comes to mind? 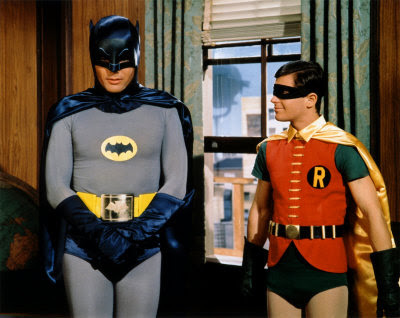 In my case it was the original Batman and Robin television series, "Holy Cow...Batman!" Looking back on its ridiculous production values and incredibly bad costumes...it was a miracle that it spawned a multi-million dollar industry. Do you think they were gay? 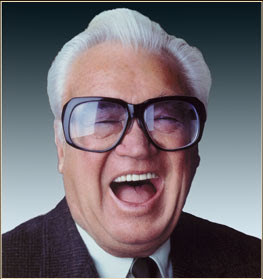 Next would be baseball announcer Harry Caray. Originally the announcer for the St. Louis Cardinals, where I would see him as a kid at Busch Stadium yelling at the Bud Man to throw him another cold one. 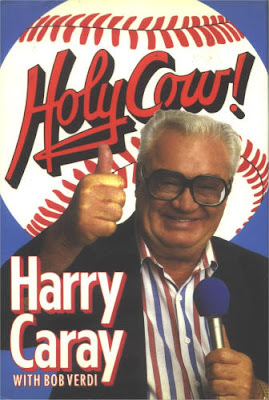 Harry made the phrase "Holy Cow" a baseball institution. number 32 Louisville Slugger aimed at his "balls" yelling..."HOLY COW!" Shortly after that venture, Harry ended up in the rival city of Chicago as the Cubs announcer...and the rest is "Holy Cow" history! 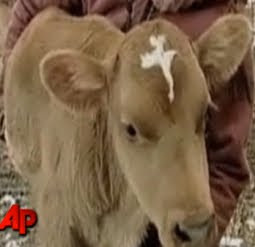 Finally, during this Advent Season, away in a manger at Buttercup Farms...a dairy calf was born with a white cross on its forehead! Named Moses, this divine bovine has captured the imagination of hopeless miracle seekers everywhere. Is it a sign? Divine intervention? Genetics gone mad? Well, you be the judge as you view this video from AP Press. Perhaps we can send Moses to the Hindu's for a little "Holy Cow War?!" I'll have my Jihad medium rare please...and hold the milk! And don't forget Harry's 10 years or so with the White Sox. He was there for Disco Demolition Night. On July 12, 1979, what began as an effort to sell seats at a White Sox/Detroit Tigers double-header turned into tens of thousands of eager fans storming the outfield at Comiskey Park in between the games of the double-header. Caray tried to calm the crowd by leading the park in the singing of “Take Me Out to the Ball Game,” but order could not be restored. Eventually the White Sox were forced to forfeit the second game of the double-header. I wonder if the disco hit disco hit Bonafied Lovin' was in there? 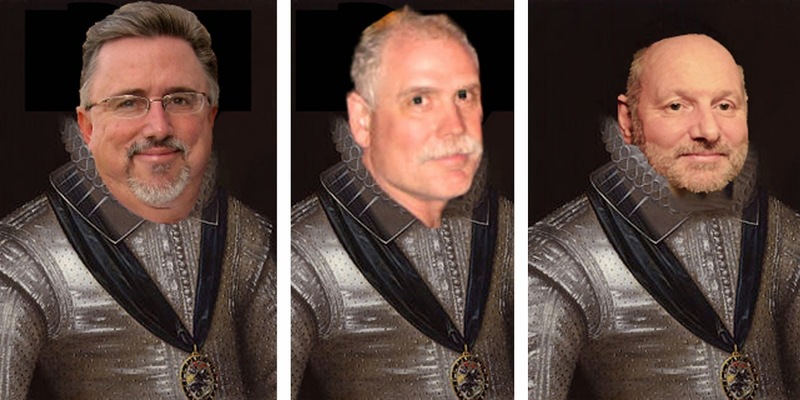 As far as the rest of the blog, all I can say is, "Steak. It's what's for dinner!" hmmmm...in which case, I wouldn't have asked for a deposit, if he'd had to write me out a check.